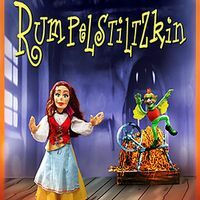 Adapted from the Brothers Grimm and presented by Frisch Marionettes, Rumpelstiltzkin teaches the importance of making promises that no one can keep and the perils of exaggerating the truth! Performance begins at 2pm with a festive reception to follow. Visit cliftonculturalarts.org for full list of Second Sunday Family Showtime performances.